Entry fee: 8-10 Euro (estimate). 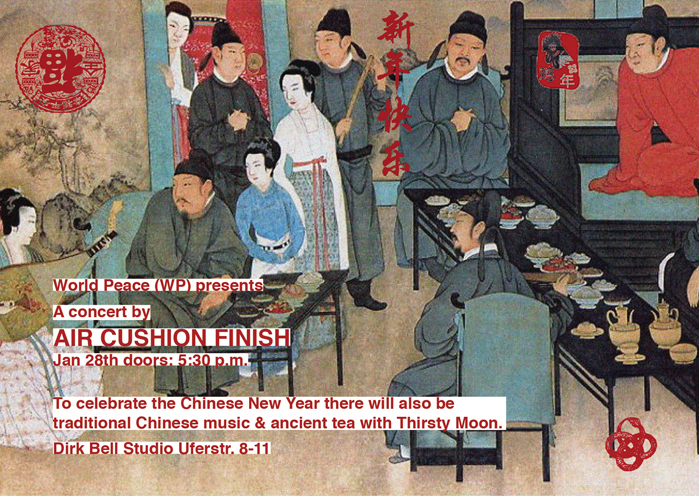 At Atelier Dirk Bell the Chinese New Years fest will be held. Live support by JAMES K (Dial) – 18h – listen and DJs. Number of visitors is restricted to 100. Be early.